In the spirit of good prep, let’s review what we know so far. The new SAT, which debuts in March, will look a lot different from the current version. Instead of three sections, there will be two: Math and Evidence-Based Reading and Writing. Each will be scored on a 200-to-800 scale. There will no longer be a penalty for guessing, and the odds will be better (the number of possible answers will decrease from 5 to 4). The now-required essay will be optional. As for content, the revamped test draws heavily from the Common Core — math and reading benchmarks adopted by most states. Those standards emphasize evidence-based interpretations of texts, vocabulary used in college and careers, and depth-over-breadth math skills. And yes, although the exam will not be the mirror image of the ACT, the two are about to become much more similar. First, the reading section won’t be so “recondite,” because obscure words like that are disappearing. 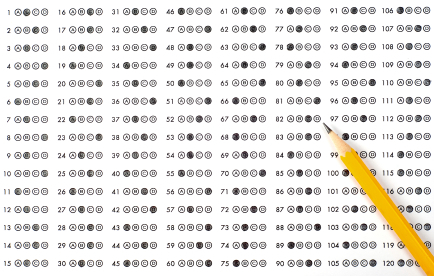 The test will no longer ask students to complete sentences. Now they will have to derive the meaning of widely used words based on context. Test takers should expect to see words that can be used in different ways (“measured,” “disposed”). Instead of recalling a definition from vocabulary flash cards, they’ll have to read prose passages carefully to choose an answer. How should students prepare? By reading often and diving into various kinds of texts, especially nonfiction, tutors say. That’s more a long-term strategy than a quick test-prep trick. Habitual reading can also help on the writing section, which will demand prolonged concentration. To answer questions about grammar, punctuation and usage, students will have to wade through extended passages relating to history, humanities and science. What’s true of the writing section is true of the new SAT in general: There’s much more to read. “The most fundamental change is that there are many, many more words,” said Aaron Golumbfskie, education director for PrepMatters. The current test covers a lot of ground, with a question or two on each topic; the new one will drill down into a few key areas. Geometry is fading out. Algebra is stepping up: Prepare for linear equations and inequalities, and systems of equations in two variables. The addition of more-advanced math, such as trigonometry, means the test will cover material from a greater number of courses. That will make it more difficult for students to take the SAT early. Some questions will require knowledge of statistics, a course relatively few students take in high school. And, because one math section will prohibit the use of a calculator, students who use them in class may want to practice tackling calculations with pencil and paper. After getting through all that math, test takers who opt to write the essay will have a much different assignment than they do today. The prompts, which will look familiar to those who’ve taken Advanced Placement English, ask for a critical response to a specific argument. In: analysis. Out: writing about your personal experiences. For example: Read excerpts from a 1967 speech by the Rev. Dr. Martin Luther King Jr. and explain how he used evidence, reasoning and/or stylistic elements to support his argument that American involvement in the Vietnam War was unjust. So the big question burning up the web: Which version should I take? The answer could come down to timing. 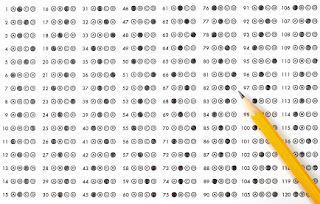 Students have just three more chances to take the current SAT — the last testing date is January 23, 2016. One advantage of sticking with the current version: It’s a known quantity, and plenty of review materials exist. Those who were happy with their PSAT scores might want to take the soon-to-be-old SAT, which would look familiar to them. “There’s not a test-prep tutor anywhere who could look a family in the eye and say, ‘We can do as good a job for you on the new SAT this year,’ ” Mr. Ingersoll said.